In a seminar organised by the Oxford Centre of Islamic Studies in 11 January 2005, aimed at brain-storming the topic of Islam and the Environment, Professor Al-Hassani presented a short overview on the environment issue in Islam as seen from its sources and from history of Muslim practice over a 1000 years of planning and management of natural resources. The following article expands on earlier lectures and contributions made by Professor Al-Hassani including his participation in the conference "Islam and the Environment: Muslim 7 Year Action Plan to deal with Climate Change" held in Istanbul 6-7 July 2009. Although the Muslims today are becoming increasingly part of the new world order, which believes in economic growth as the vehicle to human happiness, they were previously a leading example in constructing environmentally and ecologically friendly societies which were guided by principles and ethics totally different from those adopted by the present industrialised world. 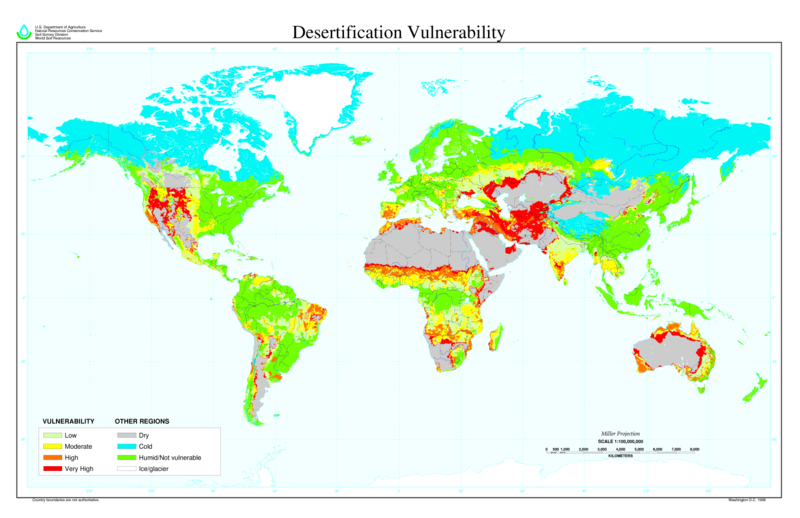 The dangerous problems of overpopulation in concentrated areas and the resulting increasing consumption and waste accumulation, water (both soft and sea water) pollution, destruction of other species including micro-organisms, which are an essential part of the life cycle, change of the chemistry of the atmosphere with its associated problems of global warming and the insatiable appetite of technology to dominate social and economic order, with its consequent demand for energy and material, are the most apparent features of the crisis of environment and the economic model that governs world affairs today. Increasing are issues of great importance to human existence and warrant the utmost attention by all the citizens of the world. 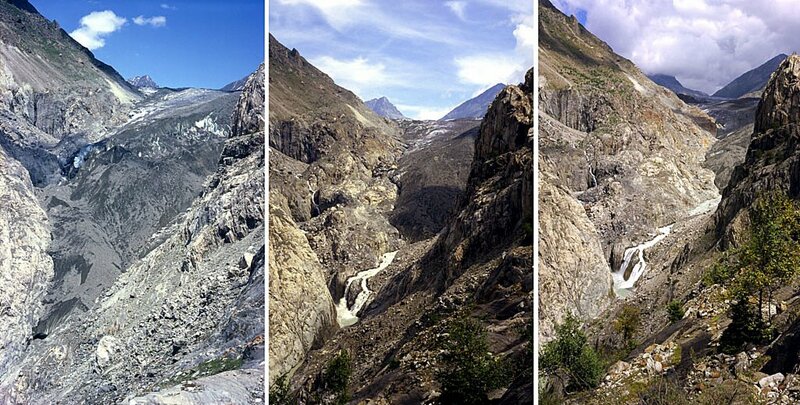 Figure 2: The retreat of Aletsch Glacier in the Swiss Alps (situation in 1979, 1991 and 2002), due to global warming. Photograph in the public domain. In this context, all cultures and communities are concerned. Consequently, uncovering the 1000 years of Muslims response to environment will serve to give a good example to present day Muslims to derive lessons from their successful past so that they may contribute positively with the rest of the world in its struggle to handle this titanic problem, which besets humanity. It will also enlighten non-Muslims - particularly those in Europe and America - on the position of Islam –as religion, culture and civilisation- on environment, and thus will generate a positive response and create a better image of Islam and Muslims and perhaps triggering process of common areas of interest and collaboration. Before highlighting the missing history of environment in Islam, it is appropriate to examine some conceptual aspects and follow them by a review of the principles and guidelines, which produced the environmental friendliness attitude of Muslim societies in the past. Figure 4: This Landsat satellite image reveals sand dunes advancing on Nouakchott, the capital of Mauritania. (Source). The main sources of knowledge about the position of Islam on environment are the Quran, the Hadith (sayings of Prophet Muhammad PBUH), Sirah (documented life of Prophet Muhammad), and the life of his Companions and the ways in which the Muslim societies have conducted themselves when upholding the principles of Islam and facing the challenges of production of goods for maintaining human life and building economic growth as well as progress in civilisation. 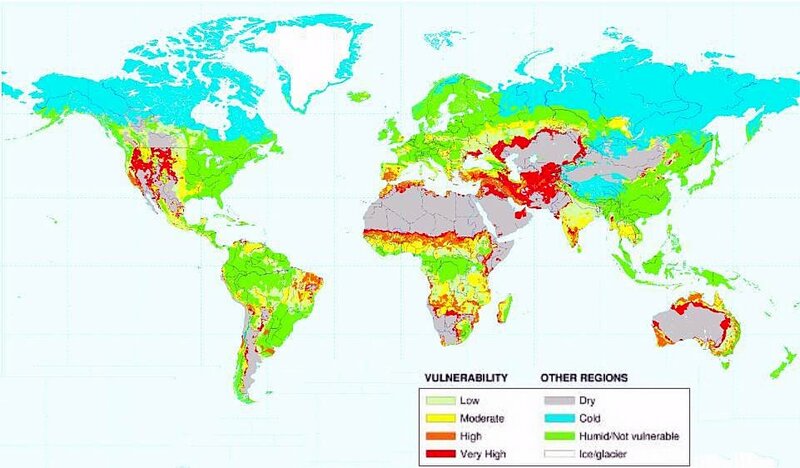 Figure 5: Physical map of Islamic countries showing the variety of physical geographies and natural environments. 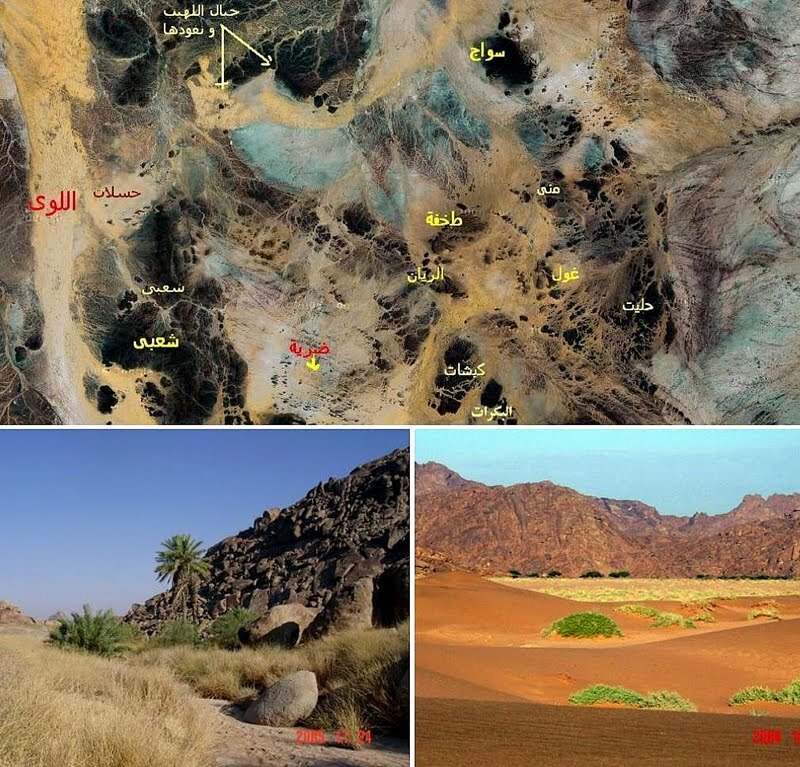 The geography of Islamic lands imposed an early interest in nature and how to preserve it. Source: Malse Ruthven and Azim Nanjl, Historical Atlas of Islam (Harvard University Press, 2004, pp. 18-19). Environment: All that which constitutes the universe (seen and the unseen) are subservient to Allah who sustains and maintains them through laws and principles, which He will not break. The Earth and all its assets are for Man to utilise in a responsible manner according to general principles and guidelines revealed through Messengers, the final of whom is Muhammad. 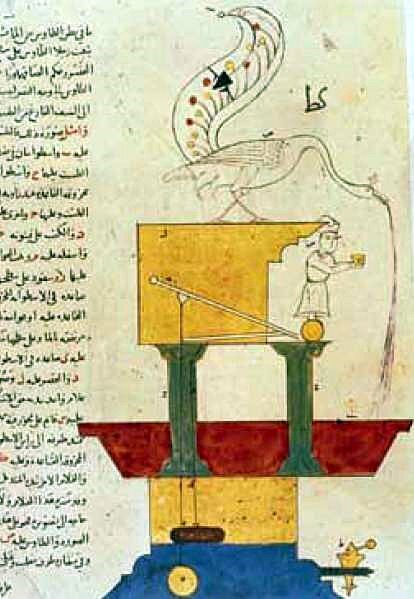 Figure 6: Drawing of the wudhu' machine designed and described by al-Jazari in his Book of Knowledge of Ingenious Mechanical Devices (Al-Jami' bayn al-'ilm wa-'l-'amal al-nafi' fi sinat'at al-hiyal) completed in 1206. This hand washing device is an elaborate machine of ingenious engineering intended to prevent waste of water. Source: Salim al-Hassani (Chief Editor), 1001 Inventions: Muslim Heritage in Our World (Manchester, FSTC, 2006, p. 20). Haq (Truthfulness and Rights): Truthfulness in all dealings whether with other individuals or with institutions and the recognition of the right of others (humans, animals and plants) generates honesty and trust with consequent reduction of crime and cruelty to animals. Ilm Nafi' (usefulness of knowledge and science): Knowledge, whether theological, scientific or technological, must be useful to others (individuals and society) including future generations; this affects all educational and research programmes. Killing or elimination of creature is forbidden unless by sanction from the Creator (hence the word Halal meat; animal killed by permission). Numerous examples exist of how Islam has influenced people in creating environmentally friendly societies and this influence is corroborated by a quasi infinite number of examples from the history of Islamic civilisation. Mimar Sinan (d. 1588) was the chief Ottoman architect and civil engineer for sultans Suleiman I, Selim II, and Murad III. He was, during a period of fifty years, responsible for the construction or the supervision of every major building in the Ottoman Empire. 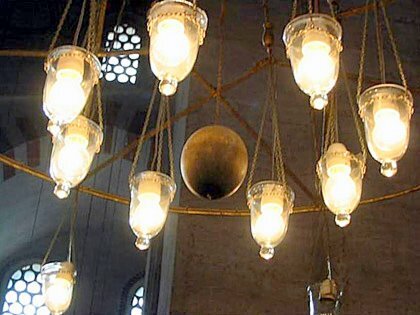 Benefiting from the long Islamic and Turkish traditions of architecture, building design and civil engineering, Sinan used ostrich eggs in the centre of the chandeliers that dangled from the dome to chase away insects which were attracted by candles or oil lamps. At the centre of the circular frame that holds the numerous candles and oil lanterns in Ottoman mosques, there is usually a strange egg shaped object as if made of marble (see fig. 8). The object is actually an ostrich egg . Through research over many years, the Ottomans discovered that these eggs secrete chemical substances into the atmosphere, which repel spiders and mosquitoes away. Hence, due to these eggs there are no spider webs in Ottoman mosques. Figure 7: Ottoman architects used to put ostrich eggs on the chandeliers in the mosques (here in The Sultanahmet Mosque known as the Blue Mosque built between 1609 and 1617) to repel spiders, hence avoiding cobwebs inside the mosque. Another innovation regarded air purification, mainly in mosques. For instance, in the Süleymaniye Mosque, built by Mimar Sinan on the order of Sultan Suleiman I the Magnificent between 1550 and 1557, there is a soot room on the main gate in Suleymaniye mosque. The oil lamps and candles that were used in large numbers to lighten huge buildings would generate smoke and burn oxygen. To solve this problem, Sinan and his followers made use of aerodynamics to drive the smoke to a filter chamber. The soot was then collected and used for making ink. In turn, clean air was driven to the outside ensuring sustainability. Soot obtained from the candles is one of the raw materials in the making of ink used for calligraphy adding with stirring. This ink protects the books from the book worms. This system filters the air pollution inside the mosque bad air that comes from candles and people breathing. In this example, we have a sustainable system, which is also environmentally friendly. The same device exists in Sultan Ahmed Mosque in Istanbul, built between 1609 and 1616 during the rule of Ahmed I by the royal architect Sedefhar Mehmet Ağa, a pupil and senior assistant of Sinan. Figure 8: Candles the in Suleymaniye mosque in Istanbul. The architect of the mosque, Sinan designed an ingenious system to resolve the problem of stale air during times of the crowded attendance at prayer worship on winter nights by adding a room over the entrance for ventilation. What is most remarkable is the ink made from the soot collected in this room. These two examples, the use of ostrich eggs and the air purification by collecting soot and its recycling for the fabrication of ink, are evidently environment friendly. Such research reminds us of the numerous discoveries in medicine such as the discovery of the catgut (the suture from the intestine of the cat used in internal surgery) by Al-Zahrawi which was found to be acceptable by the human flesh and is dissolved a few weeks after surgery. Another example is the wind catcher (Bâdgir in Persian or Barjil in Arabic). It is a traditional architectural device used for many centuries to create natural ventilation in buildings. It is not known who first invented the wind catcher, but it still can be seen in many countries today. Wind catchers come in various designs, such as the uni-directional, bi-directional, and multi-directional. Examples of wind catchers can be found in traditional architecture throughout the Middle East, Pakistan and Afghanistan. 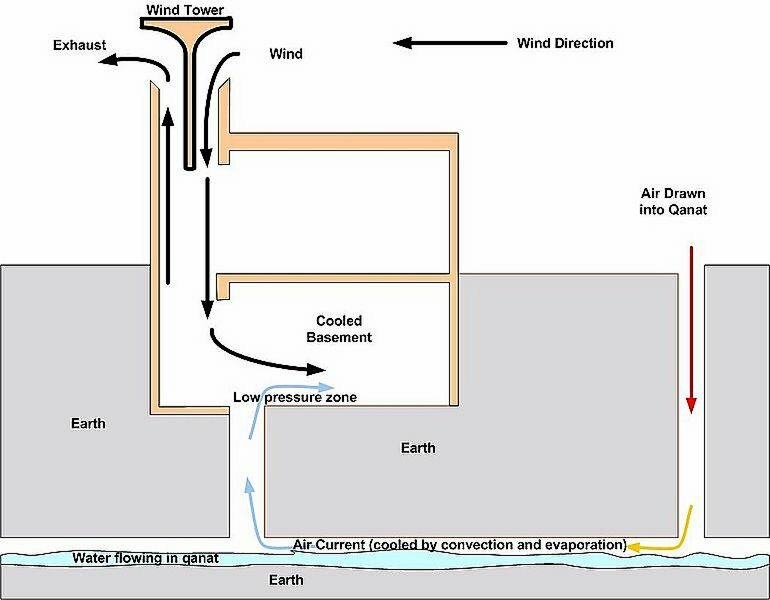 Figure 9: Illustration of use of wind tower and qanat for cooling (Source); used in many parts of the Middle East. The countries of the Middle East have a large day-night temperature difference, ranging from cool to extremely hot, and the air tends to be very dry all day long. Most buildings are constructed of very thick ceramics with extremely high insulation values. Furthermore, towns centred on desert oases tend to be packed very closely together with high walls and ceilings relative to Western architecture, maximizing shade at ground level. The heat of direct sunlight is minimized with small windows that do not face the sun. Figure 10: Al-Barjeel or Al-Kashteel, traditional wind towers in the United Arab Emirates (Source); used in many parts of the Middle East. The wind-tower, or burj al-hawa', as it is still called today in the Arab Gulf countries, is designated in the United Arab Emirates Al-Borj Al-Kashteel. It is existent in certain traditional buildings in the Gulf region. It is a tall structure with vertical openings in all directions, with internal walls arranged diagonally so that any breeze is forced downwards and up again before it can escape. This creates a circulation of air in rooms used in summer. Rooms used in winter were not provided with wind-towers. 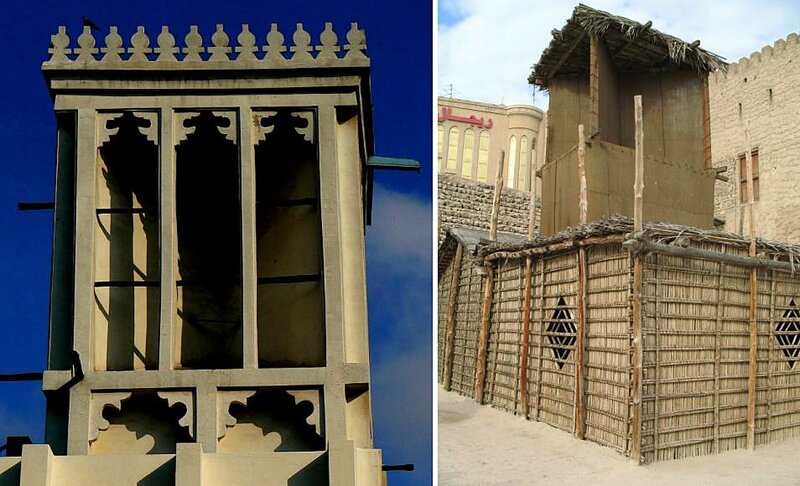 Figure 11: Old-fashioned air-conditioning with wind-towers in Qatar (left (Source) and Dubai (right Source); used in many parts of the Middle East. Wind-towers were square in plan, showing an X configuration of interior planes. They were built around an armature of wooden poles, which stabilize and reinforce the structure, and whose projecting ends were usually left to serve as scaffolding for cleaning and maintenance. Figure 12: The wind catcher of "Dowlat-abad" in Yazd, Iran, one of the tallest extant wind catchers (Source); used in many parts of the Middle East. The top half of the wind-tower was an enclosed funnel that accelerates the descending air into a room below. Al-Barjil became a symbol of architecture in the Gulf region. It provided a satisfactory solution for bringing air inside the rooms while being protected against the harmful sun. 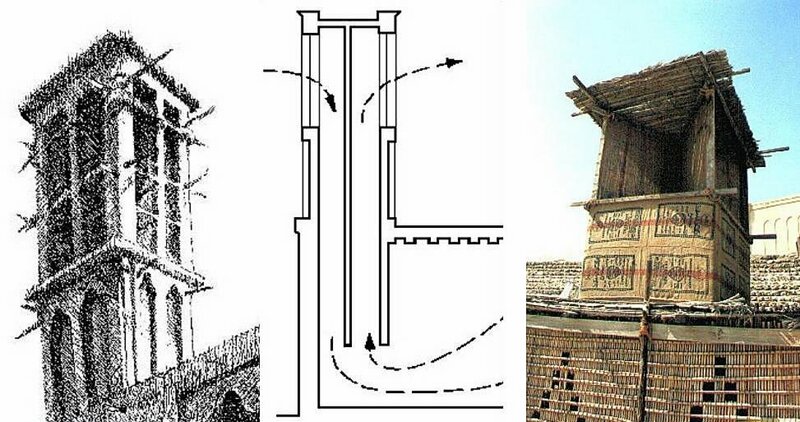 The use of wind catchers in classical Islamic architecture in hot and arid regions is just an example of the environment oriented measures taken by architects and builders. This long tradition of building constructions which are environment compliant needs to be promoted and revivified. We need to rediscover the merits of traditional Muslim houses (courtyard houses), building designs and town planning so that we use their energy efficient designs and building materials in our modern buildings so that we reduce energy consumption and carbon footprint. Instead of scrapping these and build totally new high rise glass boxes, we only need to use modern technology to enhance and improve them to make them more efficient and compliant with modern style of living. Figure 13: Front cover Māddat al-Baqā' (The Survival Material) by Al-Tamīmī al-Maqdisī (Cairo, 1999), a medical treatise dealing in part with environmental issues and their impact on health. In ancient and medieval times, the problems of environment related to health protection, notably in what concerns the causes and treatment of widespread illnesses or crowd diseases, were considered as medical phenomena. Several books in this field were written in Greek, and then translated into Arabic in the 9th century, mainly the works of Hippocrates and Galen. But with the development of the Arabic medical tradition, the theme of environment and protection from pollution was the subject matter of dozens of original treatises. These books or sections in books were authored mainly by physicians, as the theme was considered a problem of public health protection and preventive medicine. Other literary genres of Muslim heritage were concerned with the issue of health protection against pollution, such as the manuals of hisba dedicated to market and industry control and the books of jurisprudence and regulation of civil works and buildings. 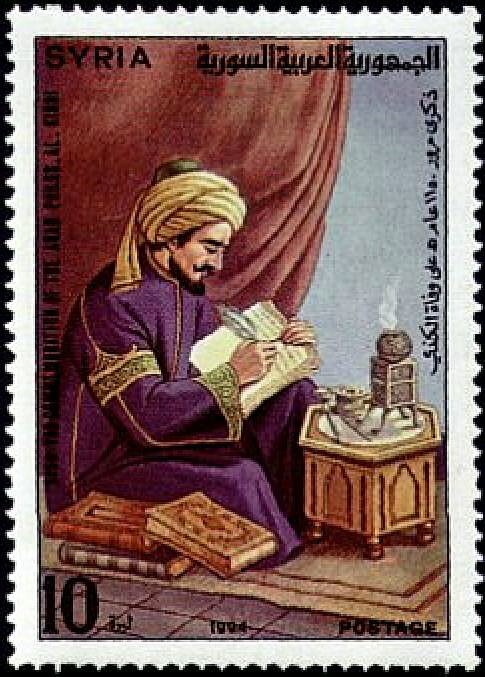 Figure 14: Syrian postage stamp depicting Al-Kindi. The earliest known writings concerned with pollution were Arabic medical treatises written between the 9th and 13th centuries by Al-Kindi, Qusta ibn Luqa, Al- Rāzi, Ibn Al-Jazzar, Al-Tamimi, Ibn Sina, Ali ibn Ridhwan, Ibn Jumay' and Ibn al-Nafis. Al-Kindi (d. ca. 873 CE) is the author of several works on air pollution and the ways of its protection: Causes of Heavenly Fatal Toxicants Named Epidemics, Drugs Curing from Detrimental Odours and Incenses Purging the Atmosphere against Epidemics. The three works were not transmitted. Fortunately, Al-Tamīmī (see about him below) quoted seven precious pages from the last treatise about incenses that combat air pollution. "Surrounding air differs greatly according to different effects on it. Those are either from the earth or from the sky. The earth factors include: vapours ascending from forests and swamps, other ground humidities such as the smoke ascending from mountains and furnaces, other dry bodies which emit smoke when they are burned, corpses and other spoiled things which emit bad fumes and stinky odours when heated by the sun and nature. Heavenly factors include: extreme heat in summer and extreme cold in winter. These factors cause common illnesses that overwhelm most people. The most obvious cause is air spoilage which results from these factors". 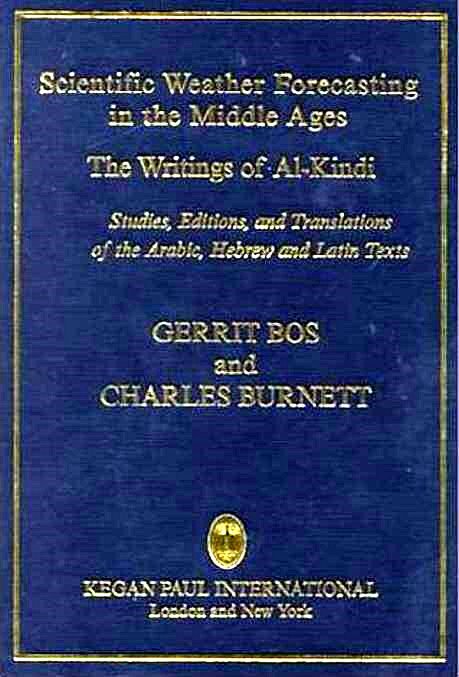 Figure 15: Front cover of Scientific Weather Forecasting in the Middle Ages: The Writings of Al-Kindi: Studies, Editions, and Translations by Gerrit Bos and Charles Burnett (London/New York: Kegan Paul, 1997). Muhammad Al-Razi (d. ca. 925 CE), the famous scholar and author of systematic medical encyclopaedias, was also interested in environment as a factor of good health. He devoted to it several books: Epistle on Chronic Coryza at the Bloom of Roses, The Reason for which Simoom (Hot) Wind Kills Most Animals, Risala fi 'l-miyah (Epistle on Types of Waters) and Al-Risala al-waba'iya (On Epidemics). These works are not yet edited and exist only in manuscripts in several libraries. Few studies present some of their contents. 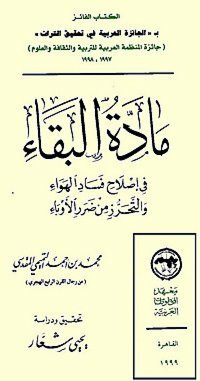 Ibn al-Jazzār (d. 369/980), the Tunisian well known medical author is the author of a book on epidemics in Egypt: Causes Generating Epidemics in Egypt, Methods of Prevention and Treatment. This made him subject to bitter criticism by the Egyptian physician ‛Alī ibn Riḍwān. Ibn al-Jazzār's work is not extant, except for small extracts quoted by Al-Tamīmī and Ibn Riḍwān. Al-Tamīmī quotes compositions of three syrups that were composed by Ibn al-Jazzār to be used as health protectors when crowd diseases attack the community. Ibn Riḍwān accuses Ibn al-Jazzār of writing about an environment that he did not knew. 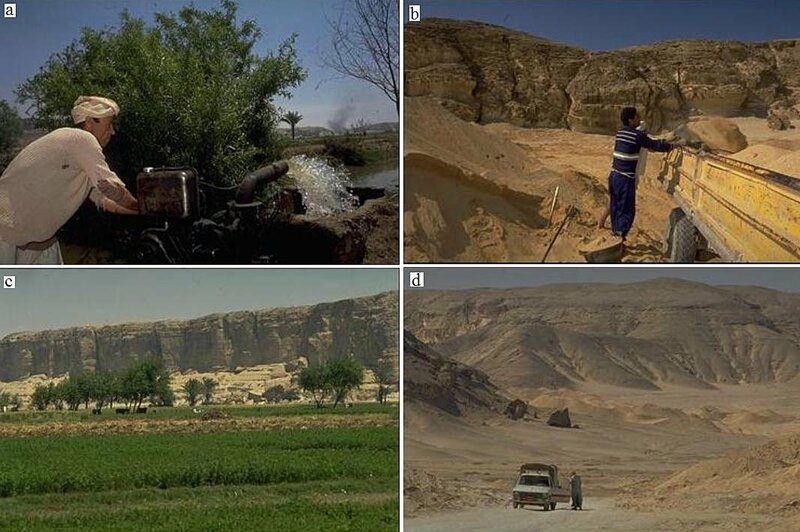 Nevertheless, Ibn al-Jazzār deserves credit for being the first author in the genre of medical geography books, the books that study the environmental conditions of a specific town. This genre include the works of ‛Alī ibn Riḍwān, Ibn Jumay‛, Ya‛qūb al-Isrā'īlī, and ‛Abdullatīf al-Baghdādī. Muhammad Al-Tamimi is a scholar from Jerusalem. He lived in the 4th century H/10th century CE. He died in Egypt in ca. 1000 CE. His book Madat al-baqa' bi-islah fasad al-hawa' wa-'l-taharruz min dharar al-waba' (Survival Material about Treating Air Spoilage & Avoiding Harms of Epidemics) is a real encyclopaedia of preventive medicine from the standpoint of the effects of the environment on health and the ways of preventing illness and diseases linked to pollution. Abu Sahl Isa ibn Yahya al-Masihi (d. in 1010 CE) was a Christian physician from Gorgan, in Iran. He was the teacher of Avicenna. He wrote an encyclopaedic treatise on medicine of one hundred chapters (Al-mā'a fi-l-sanā'a al-tabi'iyyah). He is also the author of other medical treatises, and in the field of environment his text Risala fi tahqiq 'amr al-waba' wa-'l-ihtiraz minhu wa-'islahuhu idha waqa' (Investigation on the Nature of Epidemics, Prevention and Cure) is a precious contribution. It is a well organized treatise in which he classified crowd diseases in terms of their causes, and specifying a certain remedy for each type of disease. Prevention and treatment according to the types of epidemics. Air being changed into an abnormal condition, or when abnormal detrimental fumes are mixed with it; this latter condition causing more damages. In his famous and influential Kitab al-Qanun fi 'l-tib (The Canon in Medicine), Ibn Sina (d. 1037 CE), the pupil of al-Masihi, follows on the steps of his master in devoting a special interest to environment issues. He dedicated several chapters of The Canon to moldiness, types of water, their quality and treatment, illnesses caused by impurity in water, air spoilage and its effect, designing houses and selecting their location according to health considerations, food quality and its effects, and animals transmitting pollution. Some of these ideas are treated in depth in another work of Ibn Sīnāentitled Daf' al-madhar al-kulliya 'an al-'abdan al-'insaniya (Repulsion of Inclusive Harms from Human Bodies). It discusses issues such as the types of harmful air, the harms and treatment of water types. Abu 'l Hasan Ali ibn Ridhwan (d. ca 1060) was an Egyptian scholar and physician. He is also known for his observation of the supernova that burst in the sky in 1006 CE. Among his medical writings, his text Daf' madhar al-abdan bi-ardhi Misr (On the Prevention of Bodily Ills in Egypt) is particularly interesting for the environment issues. Emphasis on proper regime and prophylaxis rather than remedial treatment. In the same vein of medical geography, Ibn Jumay‛ (d. 1198 CE) wrote a treatise about Alexandria, Tab' al-Iskandariya (Nature of Alexandria), where he exposed the results of a minute survey that he conducted to examine the various parts of the city, drinking water sources and how they are polluted and the types of food and drinks. 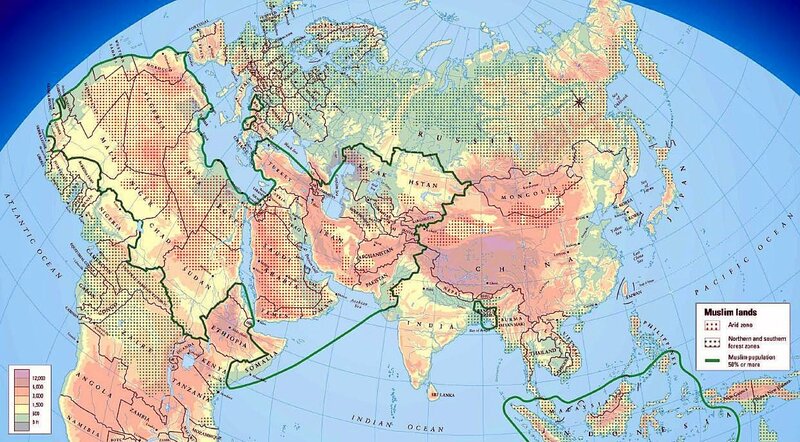 Another contribution in medical geography from the 12th century is the work of Ya‛qūb al-Isrā'īlī, known as Al-As‛ad al-Maḥallī (d. ca. 600/1204) on Damascus: Mizaj Dimashq wa-wadh'uha wa-tafawutuha min Masr (Temperament of Damascus, Its Location and Variance from Egypt). Ya‛qūbstates, in the introduction, that when he visitedDamascusin 598 H/1202 CE he was asked several questions. The treatise is composed of the answers to those questions. One of them was about the temperament of Damascus, its location and variation from Egypt (again, the word Egypt here is used for Metropolitan Cairo). It is composed of four sections of which the first is devoted to the question of the environment in Damascus and Egypt. That article is divided into three sections: Presenting the seven climates, and proving that the equator is not a temperate zone; Egypt's temperament; and the temperament of Damascus. The conclusion of the author is a clear preference for Egypt, because of the differences in weather and terrain. Abdullatif al-Baghdadi (1162–1231) was a celebrated scholar and physician from Iraq. Being a man of great knowledge and of an inquisitive and penetrating mind, he left numerous works (mostly on medicine). The account of his travel to Egypt gave birth to a detailed Account of Egypt (in two parts) under the appealing title: Al-Ifada wa-'l-I'tibar fi al-'umur al-mushahada wa-'l-hawadith al-mu'ayana bi-ardh Misr (Instruction and Admonition on the Things Seen and Events Observed in the Land of Egypt). The bath houses were designed with proper ventilation, enough lighting and elevated vaults. The contribution of the Christian Syrian physician Abū al-Faraj Ya‘qub Ibn al-Quff (d. 1286 CE) to the debates on pollution of the environment with regard to medicine and health protection was included in his text Jami' al-gharadh fi hifz al-sihha wa-daf' al-maradh (Prevention of Health and Avoiding Ills). Ibn al-Quff's work belongs to preventive medicine, but it was marked with a special concern about environmental issues. This is the reason why it is considered by historians "outstanding among all the others, being the most comprehensive, finest and most original". 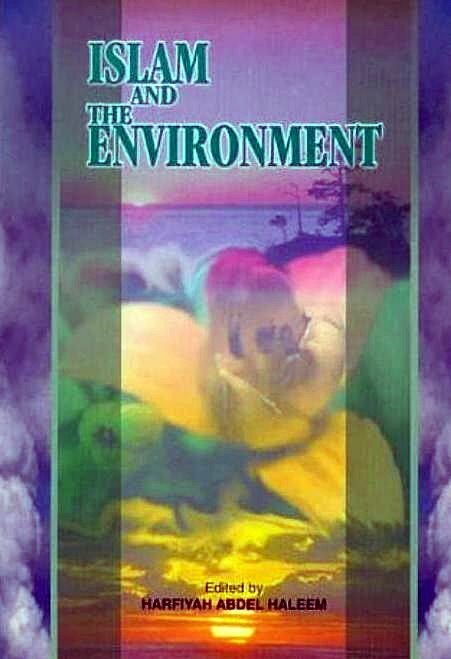 Among the subjects of the book related to environment we mention: water quality and treatment, causes of epidemics, and diet and health protection of people according to the terrain and weather in their areas. 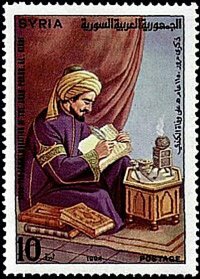 The last scholar in our list is the Syrian physician Ibn al-Nafīs (d. in 1288). Originally from Damascus, he spent much of his life in Cairo, where he became "Chief of Physicians". Environment related issues were dealt with by Ibn al-Nafis in his commentary on Hippocrates' Epidemics and his treatise Sharh kitab al-ahwiya wa-'l-miyah wa-'l-buldan (Commentary on Airs, Waters and Places), which is not extant. Figure 16: Front cover of Jami' al-Gharad fi Hifz al-Sihhah wa-Daf` al-Maradh (book on the preservation of health and preventive medicine by Ibn al-Quff (Amman, 1989). Hifz al-Sihhah is a comprehensive and original contribution dealing in part with ecological and environmental subjects: water quality and treatment, causes of epidemics, diet and health protection according to the terrain and weather. Based on some central concepts of the Sacred Texts of Islam, Man is entitled to regent Nature for his own use, but without hegemony or destruction. These very concepts allow to be extended for a modern theory of sustained and integrated development. Allah SWT says in the Holy Quran: "It is He Who has made the earth manageable for you, so traverse ye through its tracts and enjoy of the sustenance which He furnishes: but Unto Him is the Resurrection" (Quran 67:15). "I am closer to the believers than their own selves; any believer that dies and leaves some property, then his heirs are entitled to it. But if any believer should die and leave behind some debt or some orphans, then let them be mine" (Sahih Bukhari, Book 6, vol. 60, Hadith 304). The Quranic verse "We sent thee not, but as a Mercy for all creatures" (Quran 21: 107) evokes the concept of Istikhlâf (or the appointment of Man as vicegerent). Other central concepts are those of Taskhir (the subjection of the earth to Man) and Tadhlil (making the earth tractable). Also the call upon Man to work diligently: "So traverse ye through its tracts" and to achieve the means of peaceful and prosperous life: "And enjoy of the sustenance which He furnishes." Everything in this universe is subjected to Allah's Will and Judgement: "but Unto Him is the Resurrection" (Quran 67:15). The Hadith quoted above (Hadith 304) presents a practical image of the responsibility of the State towards its citizens, notably in what concerns their welfare. The saying refers to the principle of individual ownership, as well as the rights and obligations pertaining to it: "Any that dies and leaves behind some property, then his heirs are entitled to it." Equally significant in the Saying is the reference to social security and social solidarity. The achievement of economic and social development requires human resource development as well as political and administrative development. Increasingly researchers, planners, and executive officials speak about sustainable and integrated development; they contend that development should not be restricted to a mere increase in production; it should see to the fair distribution of wealth and to the enhancement of the political, social, scientific, and cultural spheres. In sum, the entire human life should be enhanced and ameliorated. Such development should neither be confined to a given sphere nor limited to one social group. Here it is necessary to talk about woman and the family. Islam does not simply cater for the orientation of individuals and society towards the achievement of economic added-value solely, but rather transcends it to underline the importance of any activity that has a social added value. Its interest in things worldly, such as the settlement of the land, should not be pursued at the expense of the Hereafter or the strengthening of ties with Almighty Allah. In fact, we read in the Quran: "But seek, with the (wealth) which Allah has bestowed on thee, the Home of the Hereafter, nor forget thy portion in this world: but do thou good as Allah has been good to thee" (Quran 28:77). Another Quranic verse says: "Do ye not see that Allah has subjected to your (use) all things in the heavens and on earth, and has made His bounties flow to you in exceeding measure, (both) seen and unseen?" (Quran 31:20 ). Still another one also states: "It is We Who have placed you with authority on earth and provide you therein with means for the fulfilment of your life: small are the thanks that ye give" (Quran 7:10). Elsewhere, we read: "Whoever works righteousness, man or woman, and has Faith, verily, to him We give a life that is good and pure" (Quran 16:97). Consequently, it seems to follow that from the Islamic vantage point, the concept of development corresponds to the idea of settling the earth and leading a good and pure life thereon. Allah (SWT) says: "It is He Who hath produced you from the earth and settled you therein" (Quran 11:61). What is meant is that Allah has commanded people to settle the land and use it in a way that reasonably fulfils the requirements of life. Reference is made here to the settlement of the land, its tilling, cultivation, and construction. Development, thus understood, suggests a divine obligation which Man was entrusted with by the Divine Authority. Regardless of the other implications of the concept, what is firmly established in the Islamic conception of development is that such development falls within the idea of Istikhlâf (or, the appointment of Man as vicegerent on earth). In this respect, the interaction of Man with the universe and with nature is governed by the idea of subjection and bestowal of bounties, and not by alienation and subjugation, as is the case in the secular modern perspective. The fact of the matter is that development in Islam is not merely limited to material prosperity without any ethical standards, moral principles, social consciousness, and spiritual concern. Quite the opposite is true. The pursuit of material prosperity is balanced with, and tuned to, the aforementioned requirements, in addition to the promotion of social justice and the equilibration between personal interests and public ones. Such a balanced system, while preserving individual dignity, also mobilizes it to achieve the common weal by entrusting individuals with such material and moral obligations as would help advance the society and achieve its stability and progress. Here, it is worth pointing to what scholars have said about the issue of Al-Massalih al-Mursalah (or unspecified public interests). The issue, which covers necessities, requirements, and contingencies, has been amply and aptly dealt with by the Jurists of the Malikite Rite who have striven to understand the overall aims and achievements of the Canonical Law. One may quote the writings of Al-Shâtiby, Al-Qurâfy, and others who sought to build upon the writings of Imam Mâlik. This is what concerns work in the economic sphere, but if we look at the level of individuals, we will notice that any efforts deployed by the individual, including economic endeavours, are considered to be some form of worship. In this connection Muslim scholars have issued countless books and devoted entire chapters to the issue of work and the exhortation of individuals to work. Some cases in point: Al-lktisâb fi al-rizq al-mustatab (On Earning Decent Livelihood) by Mohammed Ibn Al-Hassan Al-Shibâny (d. 187 H); Al-Hath ‘ala tijarah wa-'l-sina'a wa-'l-‘amal (Exhorting People to Engage in Trade, Industry and Work) by Abu Bakr al-Khallal (d. 311 H); and Al-Barakah fi fadl as-sa'y wa-'l-harakah (Benediction to be Had from Striving and activity) by Muhammad b.Abdurahman al-Habishi (d. 786 H). Given their importance and relevance, these books are really worthy of being re-issued. In summary, scholars surveyed scores of Quranic verses and Hadiths in order to affirm this meaning. Suffice it here to mention the Quranic verse: "And when the Prayer is finished, then may ye disperse through the land, and seek of the Bounty of Allah" (Quran: 62:10). In the same vein, the Hadith: "Whosoever has planted a tree or sowed a field from which a human, a bird or a beast has eaten shall be rewarded for his charitable deed" (Sahih Bukhari, Book 3, vol. 39, Hadith 513). Commenting on such Quranic verses and Hadiths, one can deduce that based on these injunctions, the Quran and the Hadith represented a strong drive and a powerful engine of economic development. Indeed, the Shari'a (the Canonical Law of Islam) does not merely permit people to invest their efforts in productive activities but also it commands them to engage actively in intellectual and practical activities. If a person is versed in a given trade, he should be given the means to thrive in it; and if he is acquainted with commerce, he should be granted the means to succeed in business; and if he is knowledgeable in farming, land should be leased or purchased for him so that he may cultivate it -all within the framework of comprehensive and full-fledged programs to be supervised by the State. This project finds its legal basis in a famous Hadith which great Islamic scholars often quote in this connection. The Saying is a long one, but in essence it recommends that the poor be given material support until "they have achieved the means of livelihood," that is, these people should be supported until they have grown somewhat independent and become capable of setting up and running their own projects. In fact, the on-going endeavours related to sustainable development projects as well as productive and rehabilitation programs. We are reminded here, of the role played by Zakât in the eradication of indigence and the creation of wealth throughout the history of the Islamic society. I would like to conclude my comment here by pointing out to the fact that a Muslim ruler, in keeping with the progress of society, should strive to achieve social justice and to undertake fair and balanced distribution of wealth among the members of society. The principle is actually enunciated in the words of Allah when He specified the criteria to govern the distribution of war booty and explained the principles underlying such distribution: "In order that it may not (merely) make a circuit between the wealthy among you" (Quran 59:7). The levying of money in order to re-distribute it among the needy is a principle that is keenly catered for by religion, which has put the principles and bases that should govern such distribution of wealth: whether this be at the level of inheritance shares, general State expenditure, or redistribution of Zakât proceeds. In this context, we all recall the unique Ijtihad (exercise of independent judgement) effected by the Second Caliph 'Umar Ibn Al-Khattâb when he purposefully barred the division of newly acquired lands, for he saw in this action only an instance of justice towards the generations to come. By the same token, he instituted Kharaj (a tax or tribute on land) to develop the land on behalf of progeny. On the basis of such decisions and actions, scholars stressed the importance of rationalizing the exploitation of resources in ways which do not compromise the welfare of the generations to come. They also insisted on the importance of a comprehensive and proactive vision --one that seeks to cater for the needs of the different sectors of society, including the needs of future generations. The Islamic practical morals based in part on the respect of nature and of the different kingdoms of creation and on responsible consumption, including recycling, is well exemplified by the place granted to care for animals as a representative aspect of a social conduct oriented environment friendly. The early Islamic society cared a great deal not only for the natural environment, but also extended its care and protection to the animal world. Human beings according to the teachings of Islam are God's vice-regents on earth, and for this reason they must also demonstrate guardianship to all of God's creatures. The Prophet Muhammad gave many examples to demonstrate the importance and gravity of this custodianship. Among these examples is that he stated that a person would go to hell for starving a cat to death, and another person who would be forgiven all sins for quenching the thirst of dog as it waited by a well. Sahih Al-Bukhari contains an account of the Prophet himself wiping with his own cloth the face of his horse, and stating that this is a good deed for anyone to give even a grain of barley to a horse. There are many such examples that we find in the history of Islam. For instance, when a Muslim plants or sows something, that an animal or bird feeds itself from, this is a charity; anyone who treats well his horse will be protected against poverty; the Prophet forbade Muslims from tying an animal and using it as a target, cutting an animal's feet muscles or letting a tied animal die; whomsoever mutilated an animal, or hitting animals on the face, acts badly and should be cursed. It is also forbidden to separate a beast from its progeny or to burn a nest of ants without an adequate reason. Many non-Muslim observers would be astonished at the excessive care and provision that the Muslims would provide for animals that may otherwise be seen as a menace. For example, Volney mentions the substantial number of hideous dogs wandering in the streets of Cairo and the kites hovering over houses uttering mournful noises. He points out that Muslims kill neither, though both dogs and kites are considered to have impurities. On the contrary, devout Muslims went to the extent of establishing bread and water foundations for dogs. Thevenot also observed that the charity of the Turks extends to animals and birds. On market days, for example, many people would buy birds with the sole intention of releasing them to be free. Thevenot further noted that people would also leave enormous wealth to feed cats and dogs; some would give money to bakers or butchers for this charitable purpose. In turn those who are charged with this responsibility are more than pleased to carry through the task, and even in the town square. It was in this spirit that the Muhtasib, the market inspector, would not only take responsibility for preventing breaches of the civil and religious law but also for preventing and punishing people for not supplying their animals with sufficient provender or overworking the animal. Islamic law commands that a Muslim should avoid every form of cruelty towards animals, especially within the task of ritual slaughter. For instance, it is stressed that never should a knife be sharpened in front of the beast to be slaughtered, and that no beast should ever be killed in front of others. In medieval times, states Le Bon, the land of Islam was a paradise for animals. Dogs, cats, birds, and all others of the animal world were universally cared for. Birds flew freely inside mosques, and even built their nests in the vicinity of the Mosque. Wild birds crossed the fields without ever being disturbed, and never would a child attack a bird's nest. In Cairo he describes a widely observed fact that there exists a Mosque where cats, at a certain hour of the day, came to fetch their food that a charitable hand had provided for these animals countless times over. Le Bon claimed further that it is from these small details that we can judge the morality of a nation and its people; it shows the kindness and urbanity the Westerner will learn from the oriental. The subject of animal care in Islamic civilisation is the subject study of several works published recently. In a noteworthy book on Animals in Islamic Tradition and Muslim Cultures, Richard D. Foltz surveys Islamic and Muslim attitudes towards animals, and human responsibilities towards them, through Islam's philosophy, literature, mysticism and art. This book is the first comprehensive study of the Islamic and Muslim attitudes toward animals. Drawing on a wide range of sources, including classic texts in philosophy, literature and mysticism, Foltz traces the development of Islamic attitudes towards animals over the centuries and confronts some of the key ethical questions facing Muslims today. The care for animals extended during all periods of the Islamic civilisation. As late as the late 17th century and late 19th century, the Ottoman rulers issued animal friendly decrees to protect animals. According to the proclamation of Sultan Murad III (reigned 1574-1595) dated 1587, the owners of animals were warned not to overload their animals and look after them well and behave compassionately and feed them properly. Another proclamation was announced in 2nd October 1856 under Sultan Abd Al-Majid (reigned 1839-1861) to remind pack animal owners of the above mentioned decree and also banned them to ride their animals seven days a week. The new decree stated that pack animals should have a weekly rest on Fridays. During these rest days, the owners were banned to ride them. The bazaar inspector (Baladiyya, muhtasib) was responsible to control these regulations. 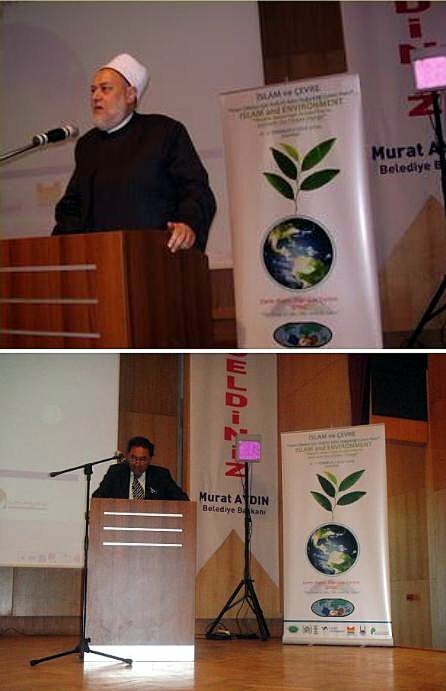 In view of the alarming situation of world environment and the danger it represents for the future of human race, and given the engagement of Muslims in the world affairs, like their fellow citizens from all other countries on our blue planet, a very important conference was organised recently in Istanbul. In this un-presented meeting, leaders of the Muslim communities from all over the world gathered to deliver a strong message: Muslims also are concerned by the environmental issues, they are conscious of the extreme urgency to act, they are willing to participate with all other communities, faiths, cultures and organisations to protect our environment and to preserve the future for our children, and they use all the levers and means to instillate and develop consciousness about this important issue in the public. The outcome of the Istanbul conference were two tremendous measures: The Muslim 7 Year Action Plan (M7YAP) on Climate Change and Istanbul Declaration. Figure 18: Mean surface temperature change for the period 1999 to 2008 relative to the average temperatures from 1940 to 1980. 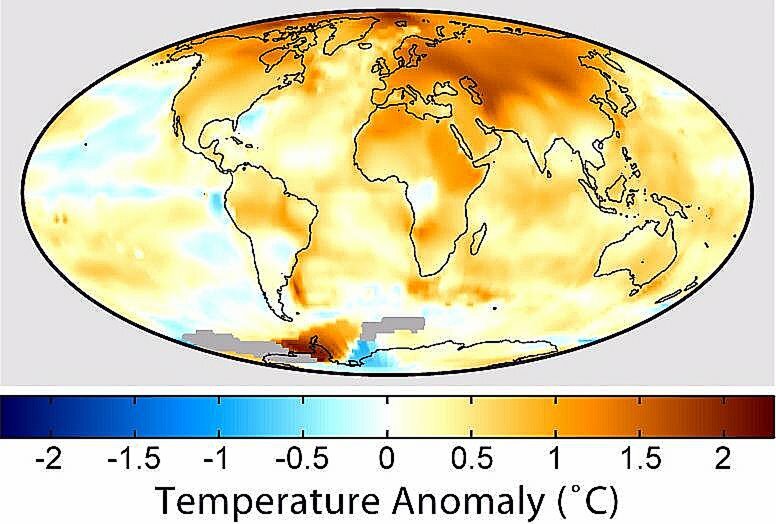 This figure shows the predicted distribution of temperature change due to global warming. These changes are based on the projections of carbon dioxide and other greenhouse gas emissions during the next century, and essentially assume normal levels of economic growth and no significant steps are taken to combat global greenhouse gas emissions. (Source). 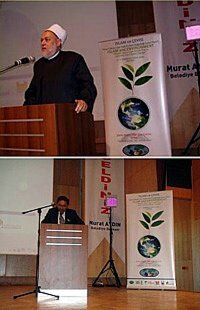 The two-day conference on Islam and the environment was held in Istanbul, Turkey, between 6 and 7 July, 2009. It was concluded by declaring a Muslim seven-year-action plan on climate change. The plan was culminated by the establishment of MACCA, the Muslim Association for Climate Change Action, which will act as an umbrella organization to monitor the action plan and follow up with its implementation. The Muslim Seven Year Plan was created through Earth Mates Dialogue Centre in partnership with ARC (the Alliance of Religions and Conservation). The plan was endorses by the attendees of the conference, most of them being key scholars from across the spectrum of the Islamic faith. During this meeting, some 200 key Muslim leaders, scholars, civil society members and government ministries from Islamic civil society, made the unprecedented step of joining together to endorse a long term plan for action on climate change. The leaders have agreed to spend the next seven years making and planning serious commitments to protecting the natural environment, and combating climate change. The plan, drawn up by Earth Mates Dialogue Centre, an NGO based in the UK, and supported by ARC, as part of the UN/ARC Seven Year Plan Initiative, proposes investigating every level of Muslim activity from daily life to annual pilgrimages, from holy cities to the future training of Imams. The plan implies establishing institutional enabling framework, developing overall capacity to deal with climate change and environmental conservation, developing and enhancing communication, outreach and partnerships, activating and reviving implementation of previous initiatives, plans, and declarations. The plan also includes proposals for developing the major Muslim cities as a green city model, which can act as a guidance for greening other Islamic cities. Besides, the plan attempts to develop an Islamic label for environmental friendly goods and services and create the best environmental practices for Islamic businesses. Introduction: Since it was created last year in its draft form, the draft Muslim Seven Year Plan to Protect the Natural Environment has been welcomed and discussed at several different events in the Islamic world as well as in the Seventh Annual Dialogue between the Islamic world and Japan in March 2009 in Kuwait. The Istanbul Conference is the next stage in the process. Islam does not have one agreed identity to represent the whole Muslim world, and so the Istanbul conference gathered scholars representing the Muslim UMMAH from different Islamic countries and communities to discuss and endorse the plan. This is an important model of how to deal with this major world issue. It is a dream of many - in both the faith-based and the secular worlds - to have religions working to solve one of the most challenging problem facing humankind today: the environmental crisis. The plan: The environmental crisis is one of the world's most challenging problems. It has united many segments of humanity and constitutes a common concern of a worldwide movement. In the West, many groups are campaigning against the abuse of the environment, exerting pressure on their governments to enact legislation to limit pollution and prevent over-exploitation of nature. But protecting the environment depends not only on legislation, but also on the awakening of conscience. Islamic law underpins the daily lives of Muslims, yet despite the availability in Islamic literature of texts, teachings, and rules protecting nature, Islamic scholars have been slow to enact environmental laws derived from the Qur'an and from the Sunna of the Prophet Muhammad. The Vision: "We envision a world that is environmentally safe for our children and the next generations where all nations of all religions live in harmony with nature and enjoy justice and fair share of God's bounties." The mission: "To mobilize all the resources of the Islamic Ummah to contribute to the ongoing global efforts dealing with Climate Change based on a Seven Year Environmental Conservation Action Plan that reflects Islamic Principles and Values." The strategy: The strategy includes focusing the efforts on selected Islamic Leaders and Institutions, partnering with key relevant Institutions from other religions, and complementing ongoing efforts of National, Regional and Global bodies to help protect the natural environment. All the actions have been discussed from different aspects: the priority of the action, the action output, the target group, the players, the time frame, the input, and indicators for evaluation of accomplishment. Islam is different in many respects from other religions, so we have to deal and use different methodology. The draft 7YP was developed by conducting many meetings of specialists and environmentalists with an Islamic background. Then we introduced the draft to many different conferences and events (including in Morocco, Kuwait, Turkey, UK, Indonesia, Qatar and Saudi Arabia) to increase the awareness about the plan and the number of stakeholders. Through this, we received endorsement from key scholars in the Islamic world –both official and non-official. The next step was to organize the conference in Istanbul with Muslim scholars from different regions and backgrounds to represent the spectrum of the Islamic religion. The scholars have been chosen to cover both sides of official and non-official in the Islamic world. The gathering will discuss and declare the plan to be the Muslim seven year action plan to deal with the climate change for the next generations. More than 50 religious scholars from across the Muslim world have endorsed a long-term plan for action on climate change. Dr. Youssef Al Qaradawi, the president of the International Union of Muslim Scholars, lent his support to Muslims convened in Istanbul 6 -7 July 2009. The plan, drawn up by Earth Mates Dialogue Centre (EMDC), an NGO based in the UK, implies establishing institutional enabling framework, developing overall capacity to deal with climate change and environmental conservation, developing and enhancing communication, outreach and partnerships, activating and reviving implementation of previous initiatives, plans, and declarations. The proposals will be managed through the umbrella organization 'MACCA', the Muslim Associations for Climate Change Action. The proposals have been endorsed by around 200 Muslim scholars, experts and representatives of Islamic civil society organizations, as well as representatives of ministries of environment and Awqaf (Endowments) of many Islamic countries, such as Kuwait, Bahrain, Morocco, Indonesia, Senegal, Turkey, etc. The Mufti of Egypt, Dr. Ali Jumma, the Mufti of Palestine, Dr. Ekrama Sabri, Dr. Salman Alouda, a prominent Saudi Arabian scholar, and Said Ali, Mohamad Hussein Fadl Allah, the Lebanese Shiah scholar, also lent their support, as well as ISESCO - the Islamic Educational, Scientific and Cultural Organization, Al Fatih University in Turkey and the municipality of Greater Istanbul, beside different organizations in the Islamic world. The plan, initiated by a group of environmental experts with the cooperation of the Kuwaiti Ministry of Awqaf and Islamic Affairs last year, will be presented to the Secretary General of the United Nations at a special meeting in Windsor castle, England, in November 2009. Afterwards, the plan will be set for implementation in Muslim countries worldwide. The Windsor meeting, sponsored by the UNDP and ARC will bring together the long-term plans of the eleven major global faiths to consider how to look after the environment and address climate change challenges. 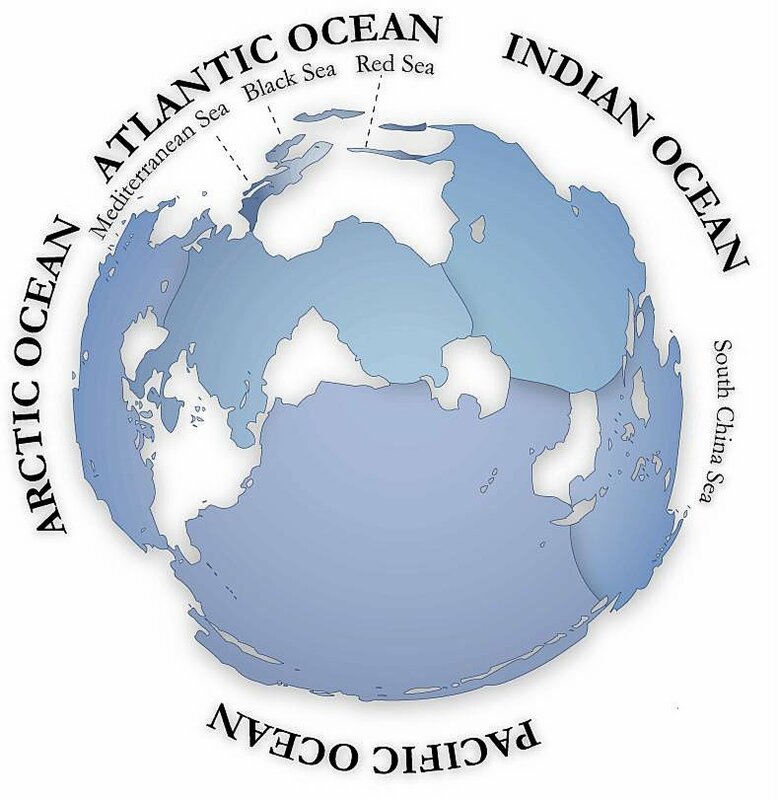 Their integrated vision will be presented in the international climate change conference in Copenhagen in December 2009. The Muslim action plan and its declaration in Istanbul is part of what Olav Kjorven, the Assistant General Secretary of the UNDP, has called, "The biggest civil society movement on climate change in history". "The role of Islam", he said, "could be one of the decisive factors tipping the planet towards a sustainable future. This commitment, he continued, in Istanbul to a low carbon future can be of historic significance in the path to resolving climate change and other pressing environmental issues". This paper would not have been possible without the dedicated assistance of Professor Mohammed Abattouy. Not being a specialist in environmental science nor its history, I had to rely on the work and ideas of many scholars. In particular, I like to thank Dr Mawil Izziddin, Dr. Anne-Maria Brennan, Dr Mahmoud Akef, Dr Sayed Dasooqi Hassan, Martin Palmer, Sir Crispin Tickell, Dr Subhi Azzawi, Dr Ferhan Nizami, Fazlun Khalid, Prof. Paul Berkman, Dr Salim Ayduz, Prof. Talip Alp, Prof. Rafid Al-Khaddar, Suhaila Baarma, Harfiya Abdel Haleem and Margaret Morris. Al-Hassani, Salim, MHAG Meeting at the Royal Society, London (published 8 August 2009): report on the meeting of The Muslim Heritage Awareness Group (MHAG), a consulting network to the Foundation for Science, Technology and Civilisation (FSTC) in 14 July 2009 on "Environment and Muslim Heritage". Al-Rawi, Munim M., Contribution of Ibn Sina to the development of Earth Sciences (published 9 December 2002). Al-Samarrai, Qasim, Abbasid Gardens in Baghdad and Samarra (published 7 November 2002). FSTC, Animal Care (published 15 February 2006). FSTC, Islamic Aesthetics, Gardens and Nature (published 25 January 2007). 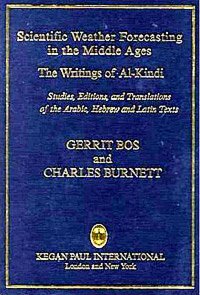 Gari, Lutfallah, Knowledge versus Natural Disasters from Arabic Sources (published 21 May 2008). Gari, Lutfallah, Ecology in Muslim Heritage: Treatises on Environmental Pollution up to the End of 13th Century (published 30 April 2008). Gari, Lutfallah, Ecology in Muslim Heritage: A History of the Hima Conservation System (published 15 April 2008 ). Nizamoglu, Cem, Cats in Islamic Culture (published 16 April 2007). Mackintosh-Smith, Tim, The Secret Gardens of Sana'a (published 16 March 2006). Sir Tickell, Crispin, Environment and the Muslim Heritage (published 8 August 2009). Shateh, Hadi Ali, Interior Architecture of Desert Climate: Case Study of Gadames city (Libyan Desert) (published 28 October 2002). See the full article in PDF. See also related articles on Nature, Agriculture and Town & City. Abdel Haleem, Harfiyah (editor), Islam and the Environment. London: Ta-Ha Publishers, 1999, paperback. Agwan, A.R. (editor), Islam and the Environment. New Delhi: Institute of Objective Studies, 1997. Al-Hassani, Salim, Chief Editor, 1001 Inventions: Muslim Heritage in Our World. Manchester, FSTC, 2006. Busool, Assad N., Animal Rights and Ecology in Islam (The Guidance of the Sirah Series, vol. 3). 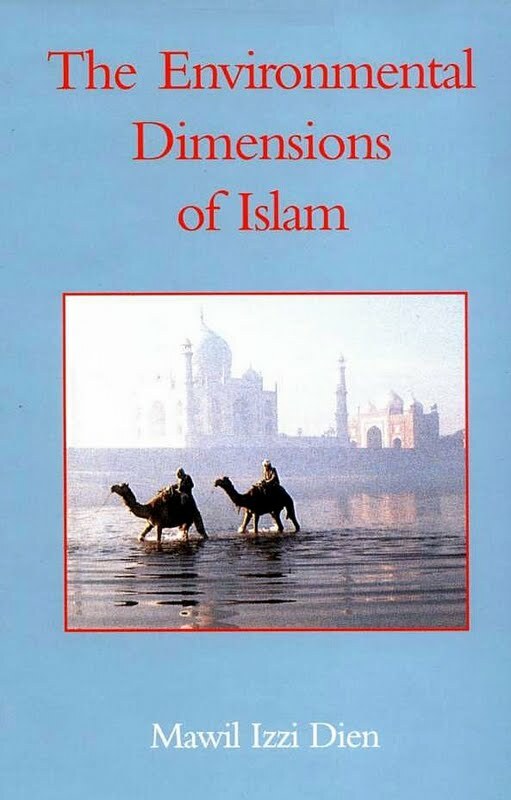 New Delhi: Al Huda Publications, 1995, paperback. Denny, Frederick M., Islam and Ecology: A Bestowed Trust Inviting Balanced Stewardship. Accessed 9.09.2008 on the website of the Forum on Religion and Ecology: Revisioning Human-Earth Relations. (to access this article follow the following path: Enter site/World religions/Islam). Fazlul, Khalid, Joanne O'Brien, Islam and Ecology. (World Religions and Ecology Series). London: Cassell, a division of Orion Publishing, 1992. Fazlul, Khalid et al., Islam and the Environment. London: Ta-Ha Publishers, 1999, paperback. Foltz, Richard C., Mathewson Denny, Frederick, Baharuddin, Azizan, Islam And Ecology: A Bestowed Trust. Cambridge, Mass. : Harvard University Press, 2003. 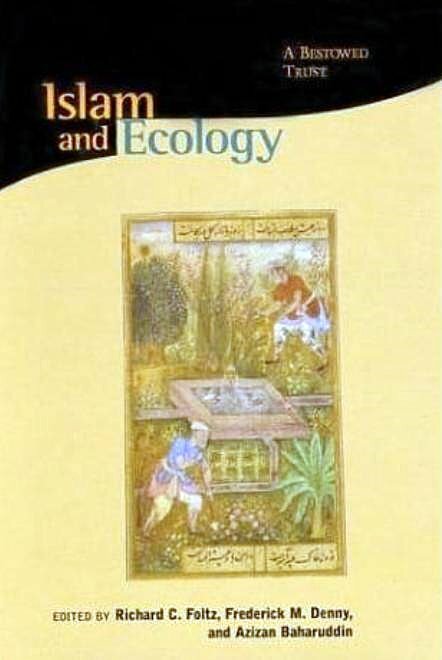 Foltz, Richard C., Islam and Ecology: Bibliography. Center for the Study of World Religions, Harvard Divinity School, 2003 (click here for the PDF version). Foltz, Richard, "Ecology and Religion: Ecology and Islam", entry from Encyclopaedia of Religion.Woodbridge, CT: Macmillan Reference USA, 2005, 4 pp. Gottlieb, Roger S. (editor), The Oxford Handbook of Religion and Ecology. Oxford: Oxford University Press, 2006, hardcover. Hope, Marjorie, Young, James, "Islam and Ecology", Cross Currents, Summer 1994, vol. 44, Issue 2. Izzi Dien, Mawil, "Islamic Environmental Ethics, Law and Society", in Ethics of Environment and Development, edited by J.R. Engel & J.G. Engel. London: Belhaven, 1990, pp. 189-198. Izzi Dien, Mawil, "Islam and the Environment: Theory and Practice", Journal of Beliefs and Values 18, no. 1. (1997): 47–58. Izzi Dien, Mawil, The Environmental Dimensions of Islam. Cambridge: Lutterworth Press, 1997, hardcover. Kula, E., "Islam and environmental conservation", Environmental conservation (Cambridge University Press ), 2001, vol. 28, no1, pp. 1-9. Nasr, Seyyed Hossein, "Islam and the Environmental Crisis," in Spirit and Nature: Why the Environment is a Religious Issue, Stephen C. Rockefeller and John C. Elder, eds. Boston: Beacon Press, 1992, pp 85–107. Ozalp, Mehmet, Perspective of Islam on Life, Ecology, Environment and Human Role Within (retrieved 17.08.2009). Setia, Adi, "The Inner Dimension of Going Green: Articulating an Islamic Deep-Ecology", Islam & Science (Thomson Gale), December 2007, vol. 5/2. The London Islamic Network for the Environment (UK). Website of the Islamic Foundation for Ecology and Environmental Sciences (UK). Wellman, David Joseph, Sustainable Diplomacy: Ecology, Religion and Ethics in Muslim-Christian Relations. New York: Palgrave Macmillan, 2004. [1.] See below the section on animal care. [2.] See Marquis de Tournefort, Relation d'un voyage du Levant, Amsterdam, 1718; R. Saoud, Muslim Architecture under the Ottoman Patronage (1326-1924); Behice Özden, Getting the feel of Süleymaniye Quarter. [3.] See Esin Atil, "Art and Architecture", in History of the Ottoman State, Society and Civilization, ed. E. Ihsanoglu, Istanbul: IRCICA, 2002, pp. 607-644; Gülru Necipoğlu, "Challenging the Past: Sinan and the Competitive Discourse of Early Modern Islamic Architecture", Muqarnas: An Annual on Islamic Art and Architecture vol. 10 (1993): pp. 169-180; idem, "The Süleymaniye Complex in Istanbul: An Interpretation", Muqarnas, vol. 3 (1985): pp. 92-117. [4.] On " wind catchers" and "windrowers, see Mehdi N. Bahadori, "Passive Cooling Systems in Iranian Architecture", Scientific American (238 (2), February 1978: pp. 144–154); M. N. Bahadori, "Viability of wind towers in achieving summer comfort in the hot arid regions of the middle east". Renewable Energy 5 (5-8) (August 1994: 879–892; A. A'zami. 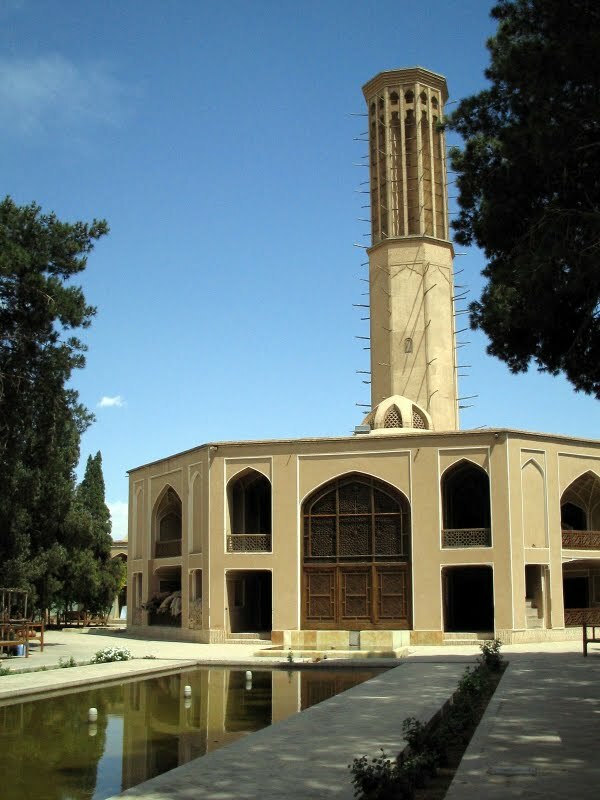 "Badgir in traditional Iranian architecture" (PDF) (retrieved 14.08.2009); [Irano-British Chamber of Commerce, Industries and Mines], Yazd, the city of windcatchers (2003); Yasser Mahgoub, Architecture in the United Arab Emirates; [Wikipedia ], Windcatcher (viewed 14.08.2009). [5.] The academic basis of this orientation is provided in reference works available in the scholarship. See Jamel Akbar, "Elements of the Traditional Built Environment", in Crisis in the Built Environment: The Case of the Muslim City (Singapore: Concept Media Pte Ltd., 1988); Süha Özkan, "Foi, culture et architecture", in Faith and the Built Environment: Architecture and Behavior in Islamic Cultures, edited by Süha Özkan (Lausanne: Comportements, 1996); Aptullah Kuran, "Form and Function in Ottoman Building Complexes", Environmental Design: Journal of the Islamic Environmental Design Research Centre 1-2 (1987): 132-139; Mete Turan, "Vernacular Architecture and Environmental Response", in Theories and Principles of Design in the Architecture of Islamic Societies, edited by Margaret Bentley Sevcenko (Cambridge, Mass. : Aga Khan Program for Islamic Architecture, 1988); Gianni Scudo, "Climatic Design in the Arab Courtyard House", Environmental Design: Journal of the Islamic Environmental Design Research Centre 1-2, 1988, 82-91. [6.] See Lutfallah Gari, "Arabic Treatises on Environmental Pollution up to the End of the Thirteenth Century", Environment and History (The White Horse Press, Cambridge), vol. 8, N°. 4 (November 2002), pp. 475-488; published in a revised version on MuslimHeritage.com: Lutfallah Gari, Ecology in Muslim Heritage: Treatises on Environmental Pollution up to the End of 13th Century (30 April 2008). 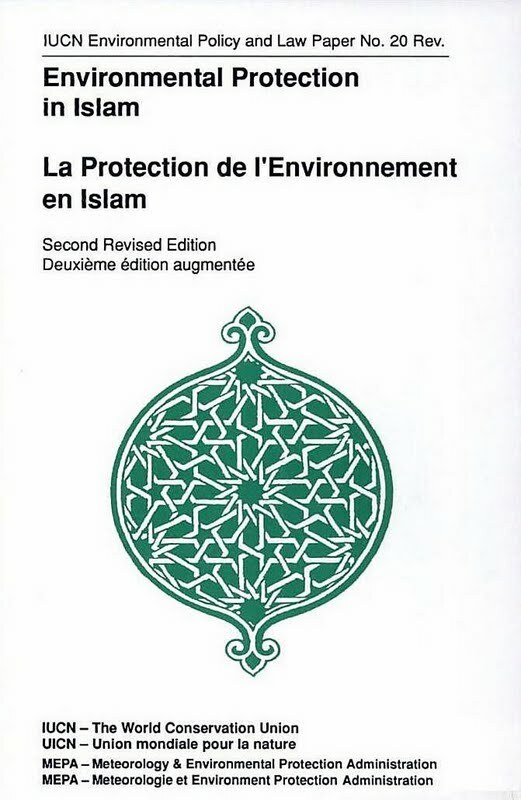 This article is one of the best studies published so far in English on the treatises of Islamic medicine that hit upon the environment protection. We rely upon the information that it contains. [7.] Quoted from L. Gari (2008), op. cit. See also G. Bos (editor), Qusta Ibn Luqa's Medical Regime for the Pilgrims to Mecca. Leiden: E. J. Brill, 1992, p. 5; and H. Fahndrich (editor), Abhandlung uber die Ansteckung von Qusta Ibn Luqa. Stuttgart: Franz Steiner Verlag, 1987, pp. 22-24. [8.] Friedrun R. Hau, "Summary of Razi's Epistle on Chronic Coryza at the Bloom of the Roses", Journal for the History of Arabic Science, vol. 1 (1977): p. 123. [9.] L. Gari (2008), op. cit. [10.] See L. Gari (2008), op. cit., for the contents of the book; and Khalid 'Azab, Madat al-baqa', kitab yaqika min talawwuth al-hawa'. [11.] See on his life and work Ghada Karmi, A Mediaeval Compendium of Arabic Medicine: Abu Sahl al-Masihi's Book of the Hundred, Journal for the History of Arabic Science, vol. 2 (1978). Click here for the PDF file of this article. [12.] L. Gari (2008), op. cit. L. Gari edited the text of Abū Sahl al-Masīhī Fī Tahqīq Amr al-Wabā' in the Journal for the History of Arabic Science, vol. 13 pp. 5-55; reprinted in Risālatān fī al-Jughrāfiya al-Ţibbiyah (Two Treatises on Medical Geography). Kuwait: Kuwait University and Kuwait Geographical Society, 2006. [13.] 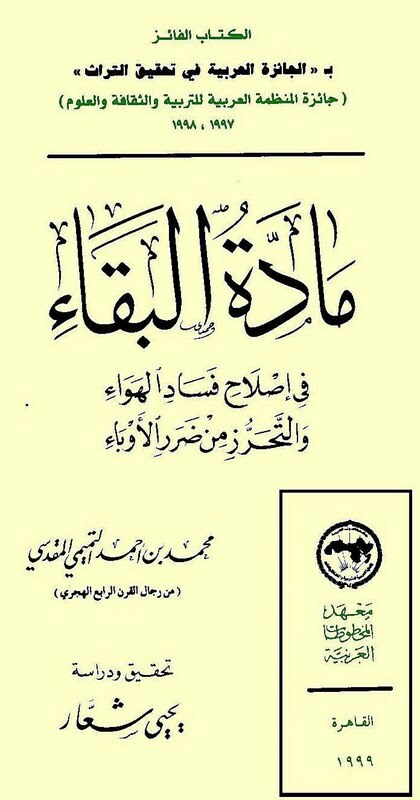 Edited by Zuhair al-Baba in Min Mu'allafāt Ibn Sīnā at-Tibbiyya (Aleppo, 1984). [14.] See FSTC, "Three Times Greater than Venus": Ibn Ridhwan's Observation of Supernova 1006. [15.] Translated into English by M. W. Dols and A. S. Gamal, Medieval Islamic Medicine: Ibn Ridwan's Treatise "On the Prevention of Bodily Ills in Egypt" (Berkeley: University of California Press, 1984). Read quotations from the introduction to the book here. [16.] L. Gari, op. cit. and M. W. Dols and A. S. Gamal, Medieval Islamic Medicine, Ibid, pp. 69-72. [17.] Ibn Jumay‛, Tab‛ al-Iskandariyya (Nature of Alexanderia), edited byMuraizen 'Asiri and Sa‛d al-Bishri. Mekka: Umm al-Qura University, 1997. [18.] Ya‛qūb al-Isra'īlī, Mizāj Dimashq w-wadh‛ihā wa tafāwutihā min Miṣr (Temperament of Damascus, Its Location and Variance from Egypt), edited by Lutfallah Gari in ‛Ālam al-Makhtūtāt wa al-Nawādir, vol. 8, no. 2, pp. 428-457; reprinted in Risālatān fī al-Jughrāfiya al-Tibbiyah, op. cit. [19. ]The book has been translated into Latin by Edward Pococke (published in 1800) and into French by Antoine-Isaac Silvestre de Sacy (published in 1810). Several Arabic editions were issued recently (i.e., Damascus 1983, Baghdad 1987). See also K. Hafuz Zand and John & Ivy Videan, The Eastern Key: Kitāb al-Ifādah wa-'l-I‛tibār of ‛Abdallatīf al-Baghdādī. London: George Allen & Unwin, 1965. [20.] L. Gari (2008), op. cit. ; and K. Hafuz Zand and J. & I. Videan, The Eastern Key, ibid, pp. 27, 33, 179, 183. [21.] Edited by S. K. Hamarneh, Ibn al-Quff al-Karaki's Book On Preventive Medicine and the Prevention of Health. Amman: University of Jordan, 1989. See also S.K. 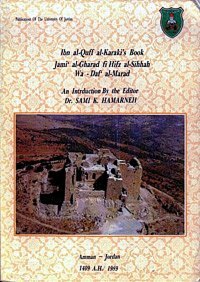 Hamarneh, Al-Ṭabīb wa-al-jarrāh al-'Arabī Abū al-Faraj ibn al-Quff (630-685 H./1233-1286 M.) (Cairo: Atlas Press, 1974). [22.] L. Gari (2008), op. cit. ; S. K. Hamarneh (ed. ), Ibn al-Quff al-Karaki's Book, op. cit., pp. 12-13; pp. 176, 180-192, 216-217. [23.] For the life and writings of Ibn al-Nafis, see M. Meyerhof and J. Schacht, "Ibn al-Nafīs" in Encyclopedia of Islam (2nd ed. ), vol. 3, pp. 897-898; and A.Z. Iskandar, "Ibn al-Nafīs", Dictionary of Scientific Biography, vol. 9, pp. 600-604. [24.] Constantin François de Chassebœuf, comte de Volney (1757-1820) was a French philosopher, historian, orientalist, and politician. He traveled to Egypt and Syria and published an account of his travel in 1787, Voyage en Egypte et en Syrie. Read online its English translation: Travels Through Syria and Egypt, in the Years 1783, 1784, and 1785. [25.] Jean de Thévenot (1633-1667) was a French traveller in the East, who wrote extensively about his journeys. See J. e Thévenot, Relation d'un voyage fait au Levant dans laquelle il est curieusement traité des Estats sujets au Grand Seigneur, des Moeurs, Religions, Forces, Gouvernemens, Politiques, Langues, & coustumes des Habitans de ce grand Empire… Paris, Louis Billaine, 1665. [26.] Gustave Le Bon (1841-1931) was a French social psychologist and sociologist, author of La civilisation des Arabes (1884). See especially Livre 4, Chapitre II, sub-section "Douceur des Orientaux à l'égard de tous les animaux". [27.] Quoted also by Ibn Kathir, Al-Bidaya wa 'l-nihaya: see the Arabic text online here. [28.] See FSTC, Animal Care (published 15 February 2006) and CemNizamoglu, Cats in Islamic Culture; [Wikipedia], Islam and animals; Khaled Abou El Fadl, Dogs in the Islamic Tradition and Nature, Encyclopedia of Religion and Nature, New York: Continuum International, 2004. [29.] Richard D. Foltz, Animals in Islamic Tradition and Muslim Cultures, Oxford: Oneworld Publications, 2006; Paperback 2007. [30.] Another scholar, James L. Wescoat, conducted a minute research on "The 'right of thirst' for animals in Islamic law: a comparative approach" Environment and Planning D: Society and Space 13(6), 1995, pp. 637-654. Remarking that little attention has been given to animals' access to water in different cultural and legal contexts, he shows that the 'right of thirst' in Islamic law constitutes an important exception. In his article, he endeavoured to show the doctrinal bases for the 'right of thirst', and clarifies the sense in which it is a 'right' and is 'Islamic'. [31.] The archival source of the Firman (decree) related to these decisions is: Prime Ministry's Ottoman Archives, Istanbul, A. MKT.NZD, N° 196/25. See also İlber Ortaylı and others, Payitaht-ı zemin Eminönü: bir dünya başkenti, Project coordinator Latif Coşar; editor Kasım Demirci. İstanbul: Eminönü Belediyesi, 2008, pp. 354-355). [32.] Read the full version of the document M7YP: draft Muslim Seven Year Plan to Protect the Natural Environment.